Radio Advertising Production Las Vegas | On Target Media Inc.
Radio is an extremely effective direct response medium of advertising. The high efficiency and effectiveness of this medium has made it very popular with small, local businesses. Radio also provides you with opportunities to reach a very targeted demographic. However, there are many elements involved that determine whether or not a radio commercial will work. 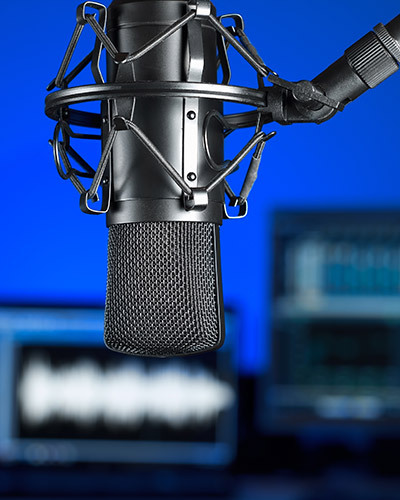 Our team will help create impactful radio ads with powerful scripts and memorable jingles. We will select the most appropriate radio stations for you, determine the proper frequency of the spots, based on goals and budget, as well as maximize every advertising dollar for you as a result of our media relations and buying power. That way you get more advertising bang for your buck! Radio reaches people immediately at the right time. Radio allows you to talk to your audience, making it very intimate and personal. Radio allows you to target your market. Radio advertising compliments all other media and can really help augment your marketing strategy. Radio has low production costs. Often small differences in the creative and media placement can make a huge difference in results. This is why you need to choose the right advertising agency to help you get your message across. Over the years, we have created some of the best radio advertising campaigns in Las Vegas. If you are looking to do radio advertising, you will want more information on radio advertising costs. We’re here to help. Call us today for a quote.